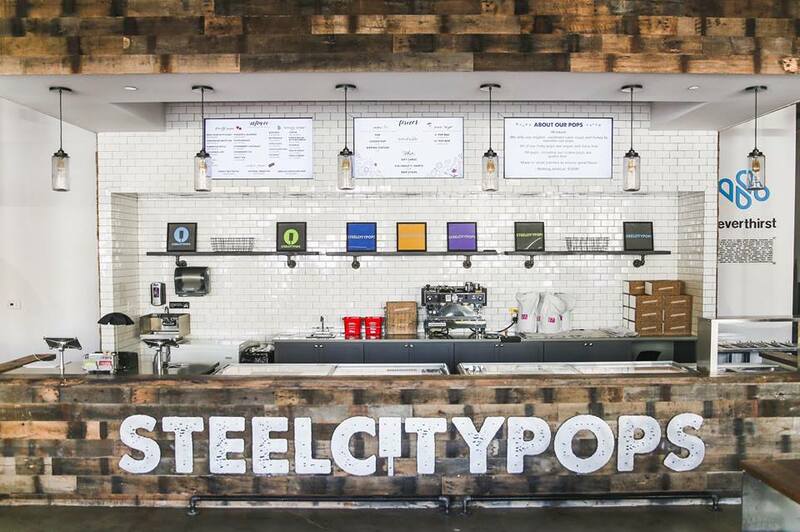 Birmingham based Steel City Pops will mark their brick and mortar debut today, September 30th, when they open at 312 Church Street near the square in Decatur. ToNeTo Atlanta was first to report on the brand's metro Atlanta expansion this past May, and has followed along as the company introduced themselves to the Atlanta market with "pop carts" at both Atlantic Station and The Shops Buckhead Atlanta. The two carts will remain in operation with plans to open additional brick and mortar shops in Atlanta next year. Eat Fit Go, a new healthy prepared meals franchise, plans to join Starbucks, MOD Pizza and Zoës Kitchen, among others, in the new The Plaza at City Springs center on Roswell Road in Sandy Springs. The company, which was founded in Omaha, Nebraska in 2015, signed a franchise agreement with "Eat Fit Group Atlanta" for development rights for up to thirteen locations in the metro Atlanta market. Eat Fit Go specializes in pre-made meals that are prepared to be re-heated off-premise, but the business does have an on-premise microwave for those wishing to dine in. The meals, which range from about $7-12, have a five day shelf life. A review last fall in The Daily Nebraskan, the student newspaper of the University of Nebraska, calls Eat Fit Go prices "not worth small, dull meals." The first Atlanta location opened earlier this month on Windward Parkway at Windward Plaza in Alpharetta. A second location is under construction adjacent to Schlotzsky's Deli in the Cumberland Festival shopping center on Cobb Parkway, across from Akers Mill. 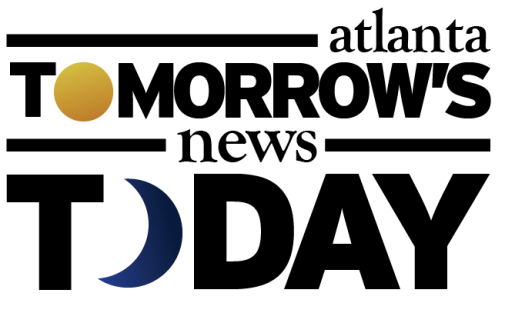 The Cumberland location is expected to open in October and will be followed by Sandy Springs and Johns Creek in the coming months. While it's not fair to call the concept a winner or loser so early into its Atlanta entrance, the prepared meal space has proved quite challenging. Chef Christophe Le Metayer opened a total of four locations of Christophe's to Go (Brookhaven, Sandy Springs, Johns Creek and Dunwoody) in 2012-2014, but had closed all of the shops by late 2015. Like Eat Fit Go, Christophe's offered assorted healthy prepared meals at a similar price. Elsewhere in the country, Austin based My Fit Foods, another similar concept, abruptly closed all of their 50+ locations earlier this year, while fellow Austin-based rival Snap Kitchen has expanded to a total of 54 restaurants in five markets. Nation's Restaurant News reported Tuesday that Chipotle Mexican Grill has partnered with Top Chef All Stars winner Richard Blais to lead its Tasty Made burger concept. Blais will be tasked with infusing the fast-casual burger concept with “new, high-quality menu items.” The news comes just a year after the first, and so far only, Tasty Made location opened in Lancaster, Ohio. The partnership will be done in part to allow Chipotle CEO Steve Ells “to remain focused on continuing to grow and strengthen the Chipotle brand,” he said in a statement. “Richard is an extraordinary chef and an exceptionally capable restaurateur,” said Ells, who founded Chipotle in 1993. “I have long believed that there was an opportunity to make the fast food burger a great burger using better quality ingredients. Richard’s expertise is perfect to help us do that.” Chipotle said that Blais will revisit the restaurant “with a fresh eye” to perfect the existing menu and expand options. Tasty Made currently features a simple menu of burgers, fries, shakes and sodas. “There is no more iconic fast food than burgers, and I have always thought there is a way to do them on a really big scale without compromising the quality of the food or the overall restaurant experience,” Blais said. Blais, whose fame grew while he worked at various Atlanta area restaurants, also conceptualized the menu for FLIP Burger, the Atlanta based "better burger" concept now with three locations. Flip closed its Poncey-Highland location in late 2015 and its Nashville location earlier this month. Despite the fact that Blais is still listed as the restaurant's "creative director," one must think his role with Flip will be far more limited given his role with Tasty Made, not to mention that he now lives in San Diego where he has opened Juniper & Ivy and The Crack Shack, a chicken-centric eatery with two locations. Poke Bar, the California based poke eatery that debuted in Atlanta last fall and has since opened a total of five locations in the area, has a sixth coming soon with as many as seven more in the works. The first Atlanta area Poke Bar opened on Roswell Road at Abernathy Road in Sandy Springs and has more recently been joined by new locations in Johns Creek, Edgewood, Duluth and Suwanee. The next Poke Bar will open on Peachtree Parkway in Peachtree Corners (Preachtree Corners on the Poke Bar website) in Peachtree Marketplace shopping center, where Aldi opened earlier this year. According to the Poke Bar website, other Atlanta area locations are planned for Dunwoody, Buckhead, Vinings, Alpharetta, Midtown and Kennesaw. The chain also plans to open in Athens. 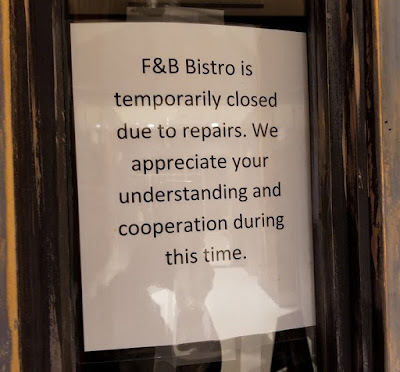 F&B Bistro in the Ritz-Carlton Residence building/3630 Peachtree Road office tower closed earlier this week due to what it referred to as an "unfortunate flood." The flood, reportedly caused by an HVAC company that failed to shut off he main water valve during maintenance, has the restaurant sidelined for at least 3 to 4 weeks, according to sources close to the restaurant. F&B posted an announcement of the temporary closure to its various social media platforms earlier this week and pledged to keep patrons updated as they work towards reopening. The old mansion, aka "Castle" in midtown on 15th Street across from the Woodruff Arts Center, will reopen next month as Rose + Rye. The restaurant, from Thaddeus Keefe of south Buckhead's 1Kept, will feature food and drink options on three levels with multiple outdoor patios. Rose + Rye will be led by an all-woman culinary and management team including executive chef Lindsay Owens from Minneapolis (The Lynhall, Tilia, Unideli, Creamery Café) and sous chef Anu Adebara (Avalon Catering). The building, the Ferdinand McMillan mansion, was built in 1910 and is listed on the Georgia Register of Historic places. Local entrepreneurs attempted to turn the property into a hotel/club/lounge/bar called "The Castle" in 2015, but it didn't last long. Rose + Rye will begin with dinner service, adding lunch to their offerings in November and brunch after that. ToNeTo Atlanta became aware of a new ramen shop coming to Brookhaven earlier this spring and the shop appears to now be gearing up to start construction. "Tanaka Ramen Noodle Bar Restaurant" is coming to TOWN Brookhaven in place of the short-lived Boneheads restaurant, close to Peachtree Road, in the same strip as at&t and Moe's Southwest Grille. Boneheads closed in 2014 and the roughly 2,500 square foot space has sat vacant in the years since. Despite the fact that proprietor Mei Chi Ku registered the business with the Georgia Secretary of State's office on March 3rd, and the restaurant has been on the TOWN Brookhaven siteplan since at least August, the restaurant will likely not open until next year. TOWN Brookhaven, on the whole, is one of the most parking challenged centers in metro Atlanta with tenants in the Tanka portion, especially restaurants, among the most negatively impacted by the parking issues. I hope Tanaka does well but they will definitely have an uphill battle. The first Atlanta area location of Maple Street Biscuits opened yesterday on W. Lawrenceville Street in Duluth. The restaurant, located in Duluth’s Parsons Alley downtown entertainment district, is located in a converted Baptist church building. Like other breakfast-centric eateries, Maple Street is open from 7 a.m. until 2 p.m. Mondays through Thursdays, staying open an hour later, until 3 p.m. on Friday sand Saturdays. Maple Street is closed on Sundays. The Jacksonville-based chain has at least two other metro Atlanta locations in the works in Woodstock and Alpharetta. Lenox Square and Atlanta Magazine will host the annual Best Burger Battle on Saturday, October 7 from 1-5 p.m. Atlanta's premier burger cook-off features more than two dozen of the best local burger spots, plus bourbon, blues and brews. Guests will have the opportunity to sample unlimited tastings and decide the best burger in Atlanta while listening to a live blues band and sipping on Bulleit Bourbon and craft beers from Brooklyn Brewery and Wild Heaven. The burgers of Old Fourth Ward's Venkman's, which is not participating this year, were named #1 in last year's competition. Burger participants this year include Zinburger, The Federal, Bantam + Biddy, The Cowfish Sushi Burger Bar, Grub Burger Bar, Oak Steakhouse, Ormsby's, Shake Shack, Piastra, Two Urban Licks, Canoe, Foundation Social Eatery, Bar Margot, KirbyG's Diner & Pub, Establishment Midtown, Flip Burger Boutique, Hard Rock Cafe, Dantanna's, Neiman Marcus Café, The Counter Burger, Botiwalla, There Brookhaven, Sage Woodfire Tavern, Vino Venue and Dakota Beef. The event is 21+ with tickets priced at $50 and all-inclusive. Tickets can be purchased here. Thanks for the information! Love this site! Re: parking at Town Brookhaven - I have never had a problem. The basement parking at Publix always has available spaces - of course, it would require patrons to walk up stairs which may be difficult for lazy, obese folks that are looking to feed their faces. @Eric Smith - Not sure if there's a need for you to insult "obese" people. As someone who is 6' and 230lbs, I'm medically considered obese. And when I go to Publix, my goal is to buy food to feed my face. And if I need to park far away or on a different floor, I do that. And yesterday, I spent the day relaxing and being lazy.  So I guess I am a lazy, obese person who is looking to feed my face. Choose your words like an adult. @ I'm Obese This is about Starbucks, not your "medical" condition caused by your lifestyle choices. Thanks for trolling! Oh the PC crew is here. Eric, it's ok to call them obese. A hit dog will holler. We all know that Americans should do much more for personal fitness. It's like... if a fish could talk and it called us "air breathers," someone would take offense to that too. Besides... this is one reason they are opening up Eat Fit Go right? Oh my goodness! Grow some thick skin to match your thick thighs hilary!! Remember - sticks and stones will break my bones but words will never hurt me. This world can be mean ... move on! So I am assuming Eric is not a chubby chaser! No soup for you! @Anonymous 6:45 - funny!! Now back to the plantation!